The two-day event in Edmonton promotes knowledge and awareness of the importance of life safety in fire protection. 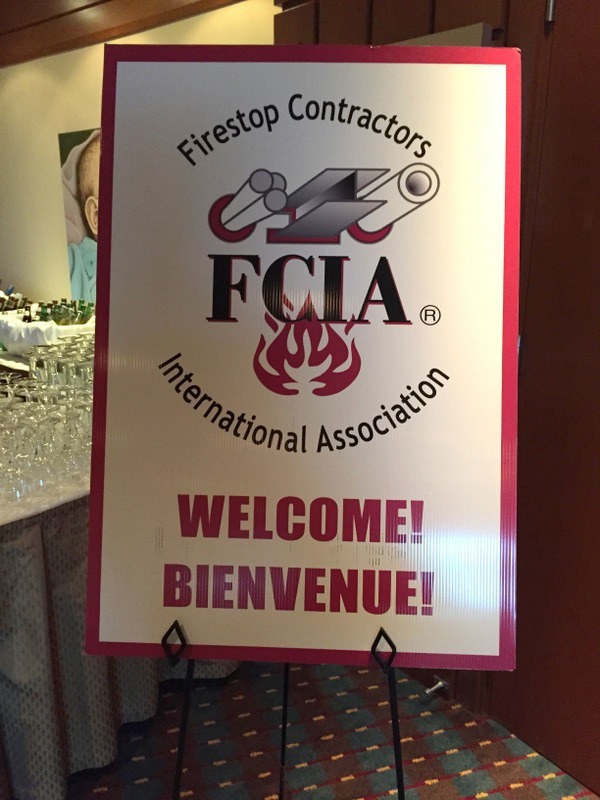 The Firestop Contractors International Association (FCIA) is bringing its Design, Installation, Inspection, and Maintenance/Management (DIIM) symposium to Edmonton from September 21 to 22. The two-day event promotes knowledge and awareness of the importance of life safety, firestopping, and effective compartmentation within healthcare, education, multi-family, high-rise, industrial, and other high-occupancy buildings worldwide. Continuous fire-resistance using fire separations in buildings is critical to safety in new and existing facilities as required by the National Building Code of Canada (NBC). Continuity is established using firestop systems and opening protectives in breaches of fire-resistance rated assemblies made for doors, service penetrations, and joints. All aspects of fire separations must be installed to the tested and listed firestop systems to provide hourly fire-resistance and smoke-resistance properties, when specified. The designs set the tone for construction with specifications. Firestop systems, selected by construction professionals, need to be matched to the conditions in the field. FCIA developed FM 4991, Standard for the Approval of Firestop Contractors, and UL/ULC’s Qualified Firestop Contractor Program to provide quantifiable qualifications for installation contractors to be selected. DIIM provides greater reliability of installed firestop systems for improved fire and life safety in buildings. FCIA chairs the task group for ASTME 2174/ASTM E2393, Standards for the Onsite Inspection of Installed Firestop Systems, and educates through its Firestop Manual of Practice—free to specifiers with design firms and governmental entities—about the importance of constant maintenance and management of fire separations. The symposium is tailored to firestop contractors, special inspection agencies, firestop associates, manufacturers, and distributors. However, architects and specifiers who design and specify firestop systems will also qualify for free registration.